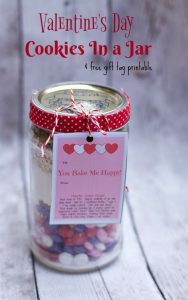 This post about this Inexpensive DIY Valentines Day Popcorn Teacher Gifts was updated with photos and a free Gift Tag Printable 1/17/17. Plastic Popcorn containers can be purchased for around two for $1 at most dollar stores and places like Target. 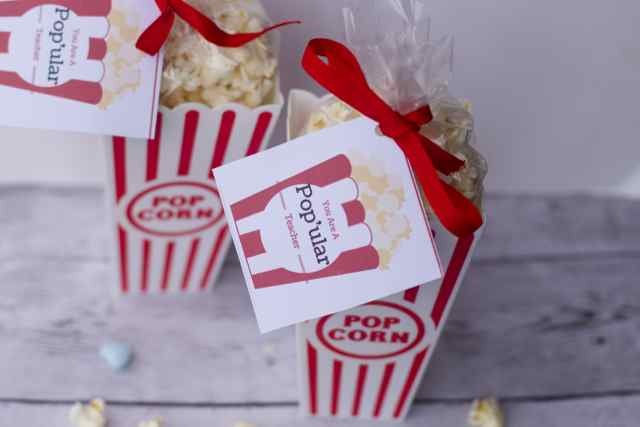 Popcorn is an inexpensive food gift and when thinking about Valentine’s Day Gifts for my kids teachers, 6 in total, Popcorn seemed like a great suggestion. 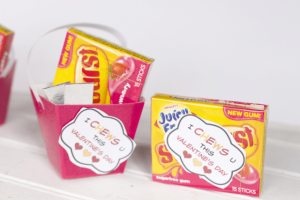 A personal but inexpensive way to say Happy Valentine’s Day to those special teachers. 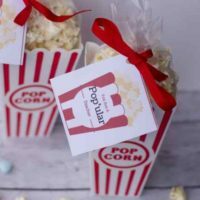 Popcorn Valentines Day Gift Idea and yummy popcorn Recipes. I made a half recipe in case it was not good and it is not close enough to give them out. I also adapted the recipe per some of the reviews. If you don’t have time to fuss with a popcorn recipe, plain popcorn is a huge hit too. 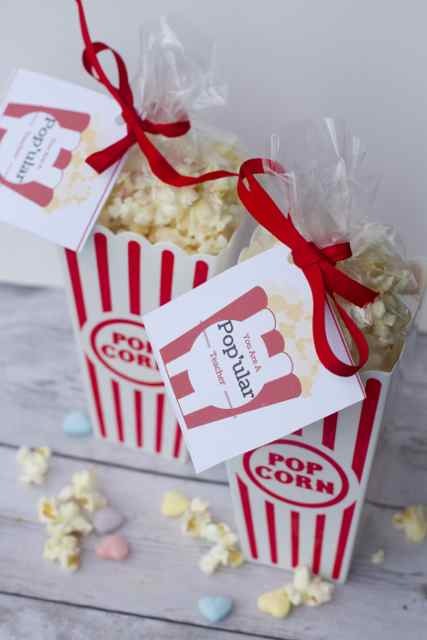 Fill cellophane bags with your favorite popcorn, popped or bagged. Add some fun Valentine’s Day candy to it. We found it easier to put the cellophane bag into the container first and then I filled cellophane bags almost full and put tied a ribbon around them. In expensive and quick you have some adorable Teacher Gifts for Valentine’s Day or really any holiday you choose. 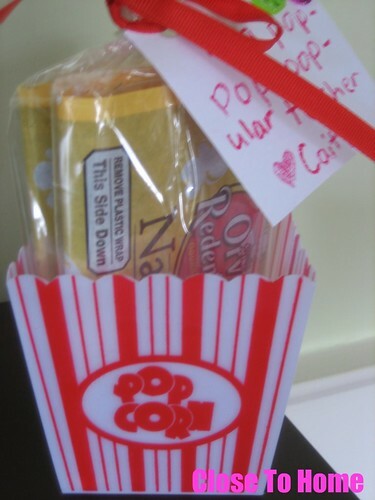 We added the tag and here is a cute and tasty snack to our Popcorn Valentine’s Day Teacher Gifts. My daughter and I loved the popcorn, my son and husband did not care for it. 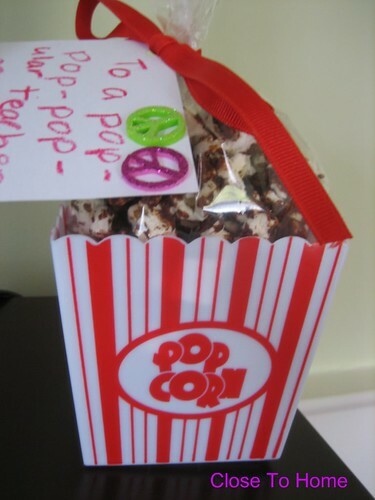 Here is a great post to find 20 yummy popcorn recipes to try for this teacher gift. You can also buy a bag of gourmet popcorn, Fresh Market had some for under $3 that would be cute. 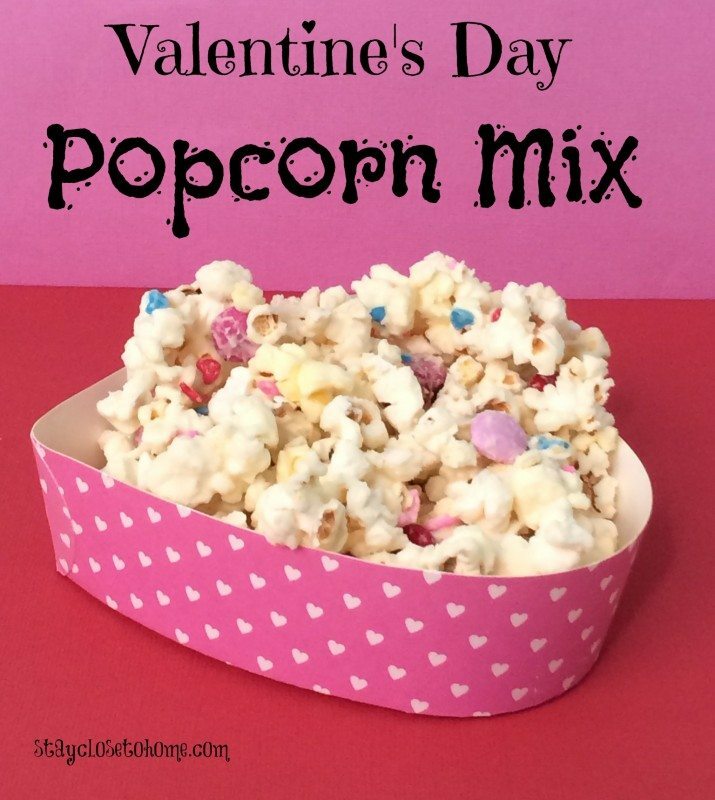 I am also going to try white chocolate covered popcorn using white chocolate and M& M’s, or you can fill them with this yummy Cupid Mix. 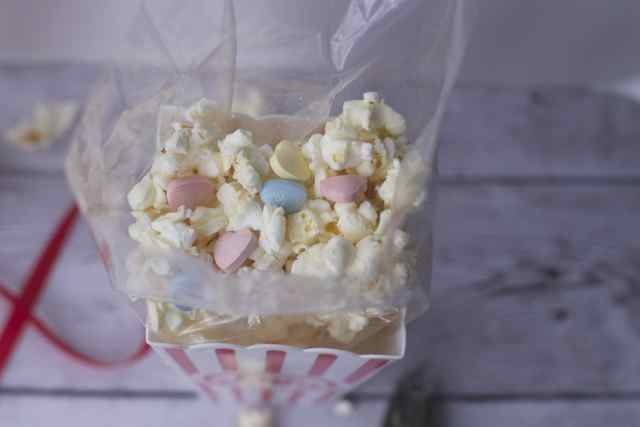 Want a gift the recipient can use later, Make a Popcorn Valentine’s Day Gift Idea using a few bags of microwave popcorn that is quicker and still a cute idea. If you want to make large batches of popcorn at once we love our Whirley Popcorn Maker, an Old school popcorn maker we have been using for the past 10 years and hopefully 10 more..
Preheat oven to 250 degrees F Oil a baking pan with sides. Place popcorn(making sure to take out all unpopped kernals) I didn't into a large, metal bowl, and set aside. Stir together the sugar, corn syrup, cocoa powder, and butter in a saucepan over medium-high heat until it comes to a boil. Boil for 2 minutes. Stir in the vanilla, then pour over the popcorn. Stir until the popcorn is well coated. Spread the popcorn into the prepared pan. 1 cup of unpopped popcorn kernels will yield about 2 quarts of popped corn. 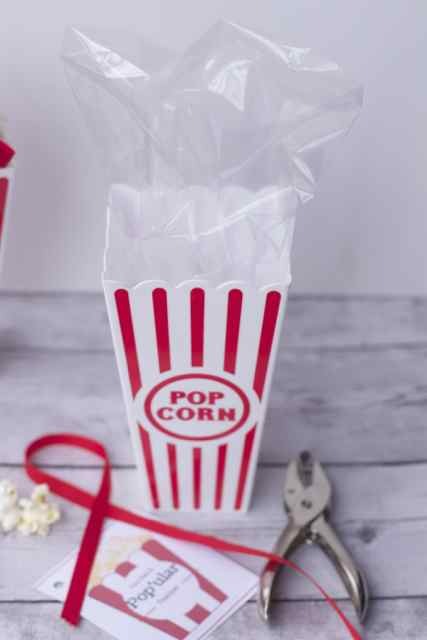 Who would you give thisInexpensive DIY Valentine’s Day Popcorn Teacher Gift Idea to? 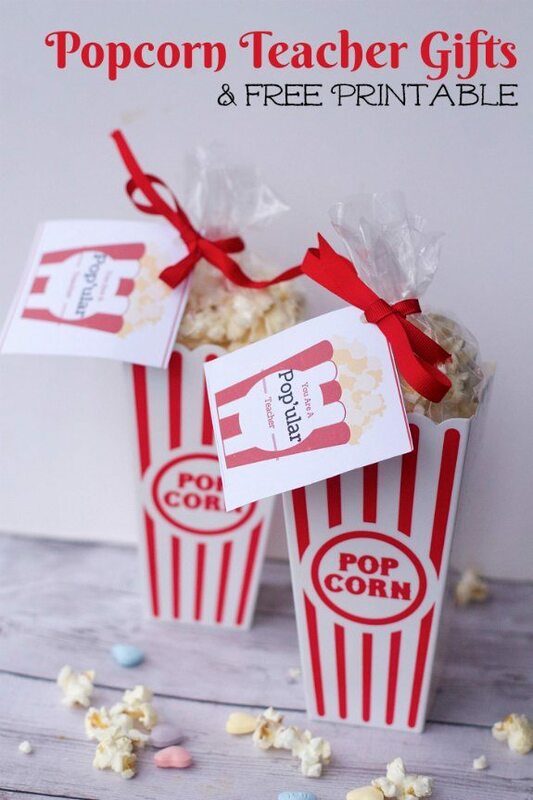 Don’t Forget to Download and print the popcorn Valentines Gift Tag for these adorable Inexpensive DIY Valentine’s Day Popcorn Teacher Gift! Very cute, great ideas. Crafty ideas like this are more meaningful to me anyways. Great idea. Nothing like snuggling up on the couch watching a movie and munchin’ on popcorn.